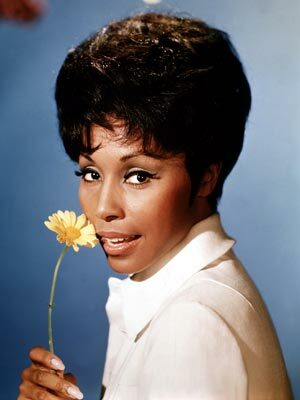 Diahann Carroll turns 78 today, July 17, 2013. The singer and actress has had a successful career on film and stage since in the 1950s, when she starred on Broadway in House on Flowers and appeared in the film version of Porgy and Bess. The show serves as an amazing time capsule of how TV executives chose to present race relations in the late 1960s, compared to what was actually occurring in the United States. I ran across this post, “An Historical Myth: Julia as Groundbreaking Television Show,” on the blog American History for Travelers, which provides a fascinating, in-depth analysis of Julia’s place in media history. I always loved the Julia theme music. I’m talking about the Season 1 opening with the drumming, not the later, less memorable one.